57th Avenue at 74th Street, Looking East. Once again, the thing that draws one’s attention is the Elmhurst gas tank on the left. 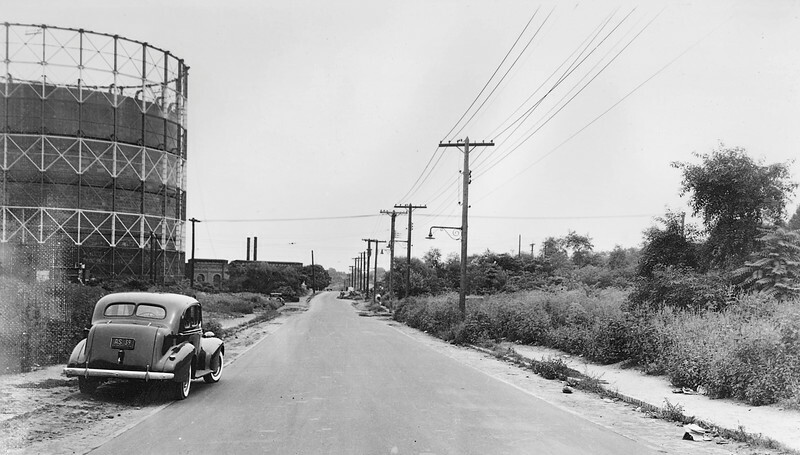 The Brooklyn Union Gas plant can be seen in the background near the tanks. Alone 1930s-era car is parked along the road. Island Expressway has not yet been constructed, and the landscape where it now stands was nothing but a field of trees and weeds in 1940.